It’s been 15 years since Google was incorporated as a company, yet the public still seems to be feeling its way toward a more sophisticated understanding of how to harness online search technology to find richer, more accurate information. Young people are often thought to be expert at navigating the digital world — they are “digital natives,” after all — but most research shows that when it comes to seeking credible information, they often fall short. Educators note that students sometimes have a hard time distinguishing between commercially influenced sites and peer-reviewed academic journals, for example. They also see many young people whose patience with the search process can quickly run thin. What can educators do to solve this? How can this gap be bridged? And for media educators — who carry the greatest general burden for teaching the “art of verification” — what are the basic tools that every student should have? The beginning of any answer is a solid understanding of youth tendencies and generational norms that have evolved around online information. Below is a list of studies and reports that can be helpful to educators trying to understand and improve information-seeking habits. The second step is giving young people the basic tools to perform online research in a smart way. 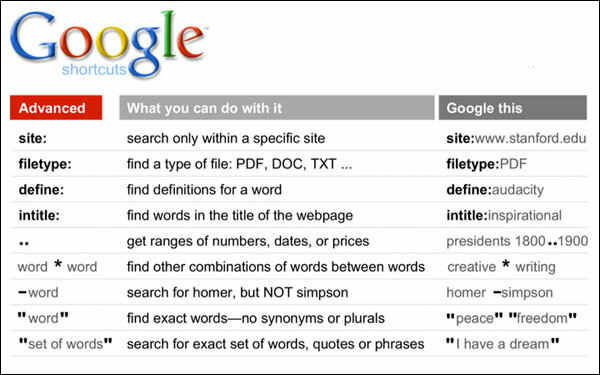 Of course, various databases and major search engines — Yahoo!, Bing, Google — have different algorithms and tricks for finding things. Twitter, Facebook, YouTube and other platforms have their own internal search dynamics. At the most general level, success begins with taking a deliberate approach and articulating a search strategy. Microsoft’s Bing also offers its own tips for those doing searches. At a more specific level, media students should probably have knowledge of good tools that relate to obtaining information about specific people and businesses. Barbara Gray of the New York Times and CUNY Graduate School of Journalism offers tips. Purcell, Kristen; Rainie, Lee; Heaps, Alan; Buchanan, Judy; Friedrich, Linda; Jacklin, Amanda; Chen, Clara; Zickuhr, Kathryn. Pew Internet and American Life Project, November 2012. Head, Alison J. Project Information Literacy, October 2012. Lee, Alice; Lau, Jesus; Carbo, Toni; Gendina, Natalia. UNESCO, 2013. Gasser, Urs; Cortesi, Sandra; Malik, Momin; Lee, Ashley. Berkman Center for Internet and Society, Harvard University, February 2012. Eynon, Rebecca; Malmberg, L.-E. Journal of Computer Assisted Learning, December 2012, Vol. 28, Issue 6, 514-529. doi: 10.1111/j.1365-2729.2011.00460.x. Hargittai, Eszter; Fullerton, Lindsay; Menchen-Trevino, Ericka; Thomas, Kristin Yates. International Journal of Communication, 2010, Vol. 4, 468-494. Livingstone, Sonia; Helsper, Ellen. New Media and Society, March 2010, Vol. 12, No. 2, 309-329. doi: 10.1177/1461444809342697. Zhao, Shanyang. Social Science and Medicine, Vol. 69, Issue 10, November 2009, 1501-1505. http://dx.doi.org/10.1016/j.socscimed.2009.08.039. Hargittai, Eszter. Sociological Inquiry, February 2010, Vol. 80, No. 1. pp. 92-113. DOI: 10.1111/j.1475-682X.2009.00317.x. Weigel, Margaret; James, Carrie; Gardner, Howard. International Journal of Learning and Media, Vol. 1, Issue 1, 2009. doi: 10.1162/ijlm.2009.0005.